Meng Chai Beef Noodle established since 1950 (according to banner), honestly I have never heard of Meng Chai Beef Noodle before and this going to be our very first visit as well. 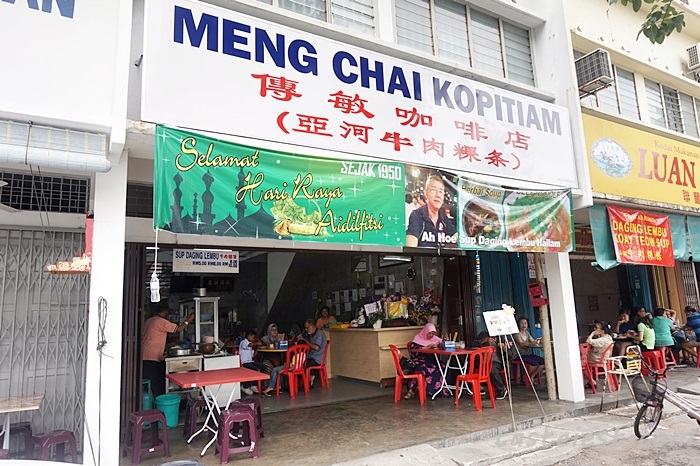 The beef noodle seller is Chinese but most of the customer are Malay, I am very surprise to see many Malay friends visit this restaurant, it must be Halal then. 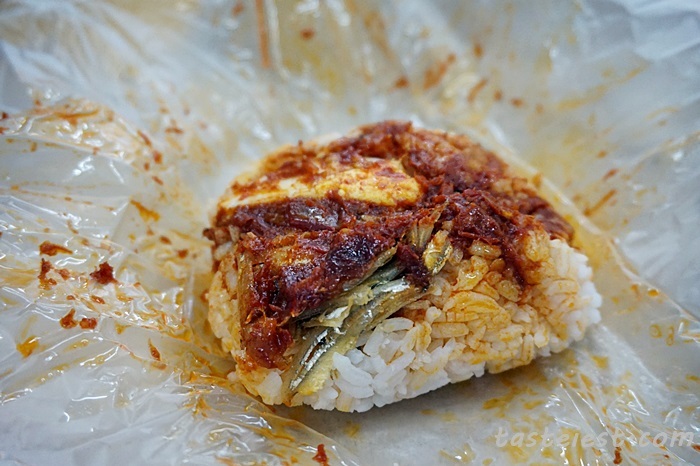 Good service here, the owner promptly greet us and getting order from us, food serve fast and bid goodbye with us. 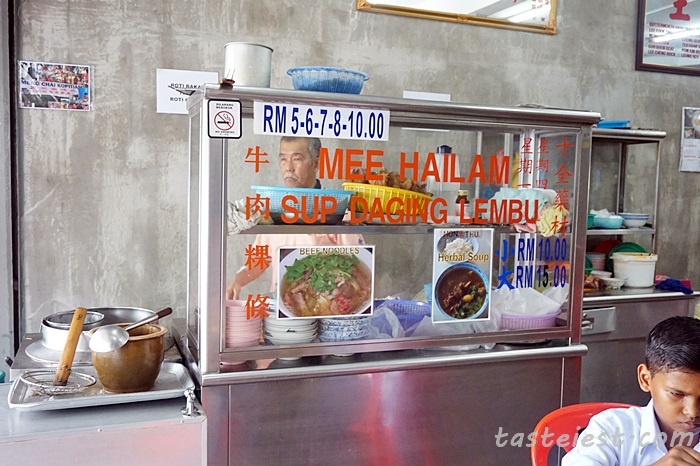 Beef Noodle starting from RM5 to RM10, Herbal Beef Noodle RM10 Small, RM15 Big. 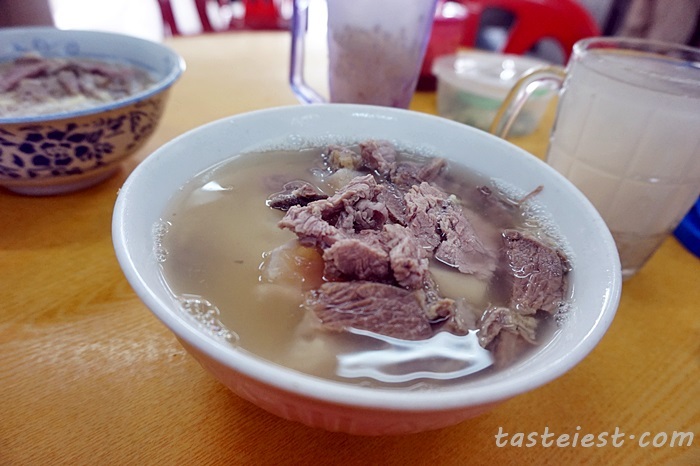 We only try clear soup beef noodle which is Mee Hailam Sup Daging Lembu, it came with few slice of beef meat, tendons and stomach. 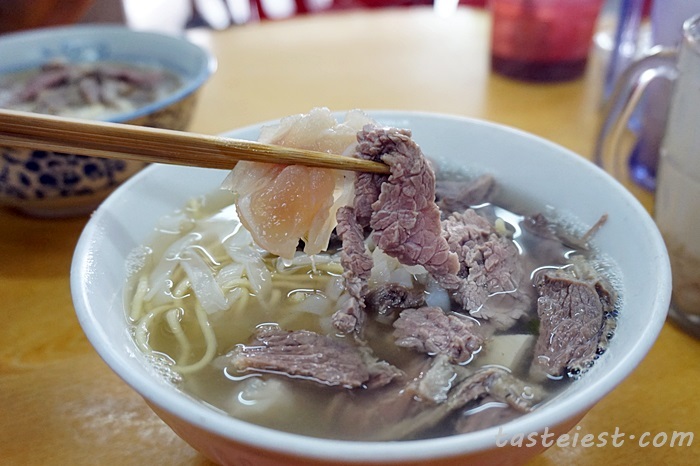 The soup taste rather normal without much beef flavor but the beef meat is nicely done to soft texture, eating tendons is like eating hard jelly with a little bit chewy texture. Chili sauce is not the type I looking for but adding some soy sauce still not bad. 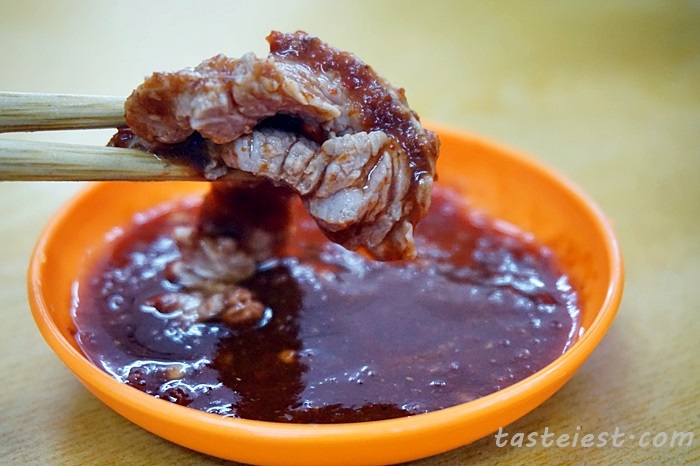 I feel that TAHAN BEEF NOODLE is better. Behind the cinema at the same area. Yes you are right…the beef soup is really good ..not so much ahi no moto like the othe one. Beef very tender n a lot.